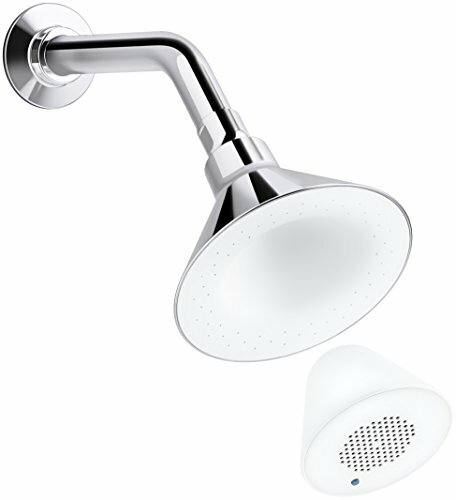 Singing in the shower even with a quality Bluetooth shower head really is rather vain. But hey whatever shakes your booty! There are quite a few of these types of products on the market and the plastic ones are a lot cheaper. Cheaper because they are made from cheaper materials & the design style is not quite there. 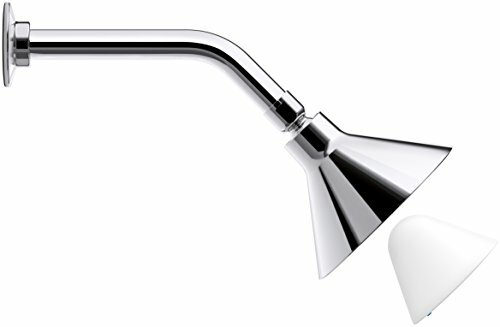 This Kohler shower head comes with a polished chrome body which gives the unit strength when fitting. It also features a silicone spray face which enables easier cleaning of water mineral deposit built up at the shower nozzles. The unit is available with a 2.5 gpm spray face (shown) or a water saving 2.0 gpm spray face. If you want plenty of water though you will be going for the 2.5 gpm option so long as you have moderate water pressure or better. 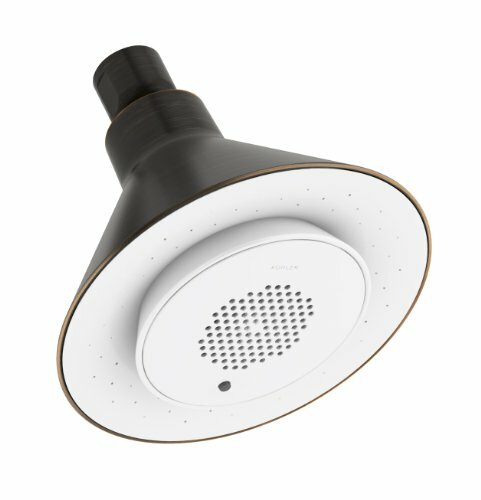 OK – so much for the shower head, what about the speaker. 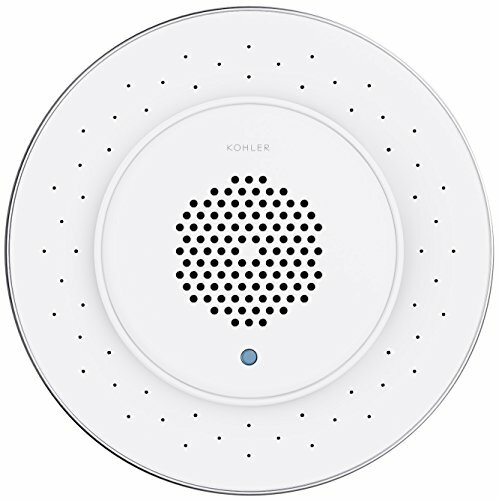 The speaker is a wireless Bluetooth speaker that will connect to any Bluetooth audio device. It is rechargeable and waterproof and held in place whilst in use by magnets. The enclosure is waterproof so if it drops in your water it’ll be fine. The speaker is powered by a lithium-ion battery, so you just detach the speaker from its housing by pulling apart the magnets and go plug it in to charge – which takes about 3 hours. Even if you have a partner who loves spending hours in the bathroom, the 7 hour playback time will still leave enough charge for you to practice your Barry Manilow “Trying to Get the Feeling Again” followed by a rendition of “I’m Mandy Fly Me” for your 10cc. Sadly it doesn’t play video – but we can give you one!